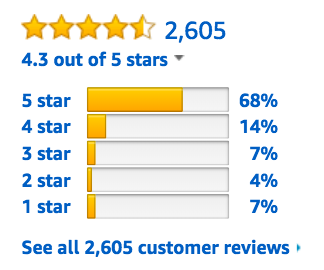 If you combined all the review photos for this Delomo grooming brush, I'm confident we could make everyone on this planet a sweater. We all know our pets are perfect — we don't have a single complaint about 'em! WELLLL ok...maybe ONE. The shedding. Or should I say: the constant layer of fur we live amongst, because they are unstoppable. ^^How I imagine the conversation would go if our pets could speak. "What fur?!" But those days are OVER thanks to these incredible Delomo pet grooming gloves ($13.86+ on Amazon). 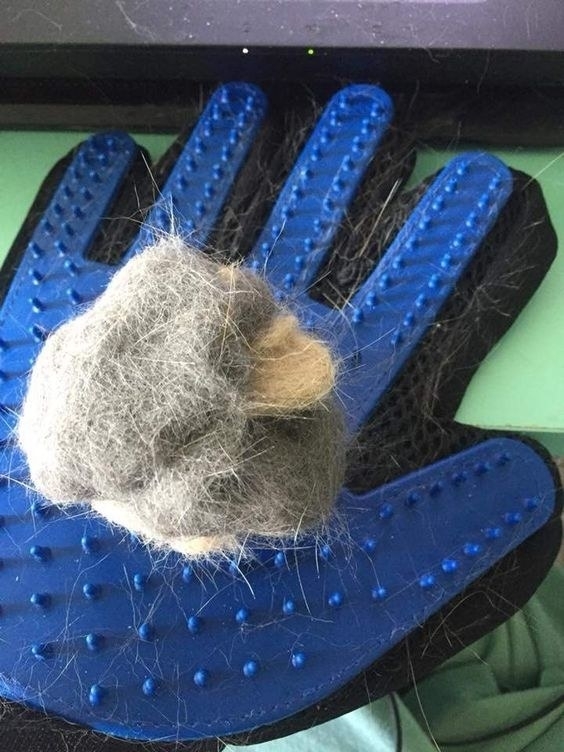 They're gentle, effective, and will get rid of more fur than if you were to vacuum your pet with a Hoover (please don't do this). Psst: they're available in three colors: blue, red, and black! Each hand is customized for your dominant side: so the left-hand glove is made for lefties and the right-hand glove for righties. AND it's eco-friendly: it's free of any materials that would irritate your furry friend's skin. They work on everyone: long-, short- and curly-haired dogs, cats, horses, and any other pets! 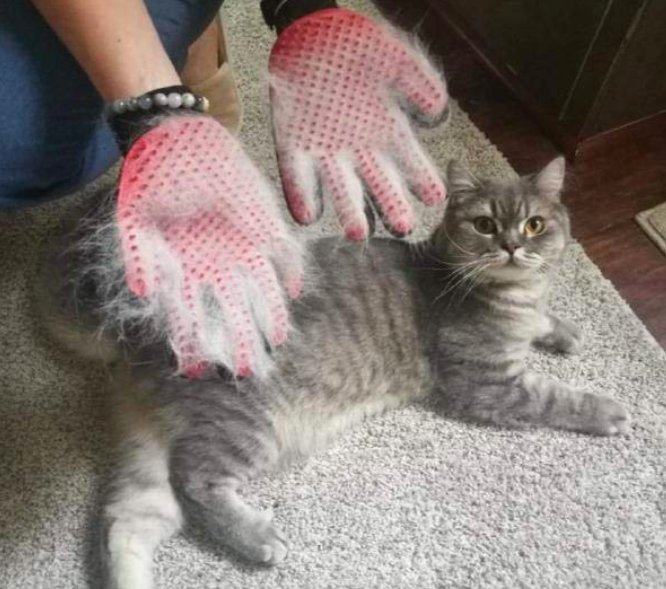 Plus, the hair sticks to the glove so that it's easy to peel and throw the fur away. But seeing is believing, am I right? These lifesavers come with 1,783 five-star reviews and a 4.3 star rating on Amazon! We haven't even gotten to the best part: the INCREDIBLY satisfying review photos. 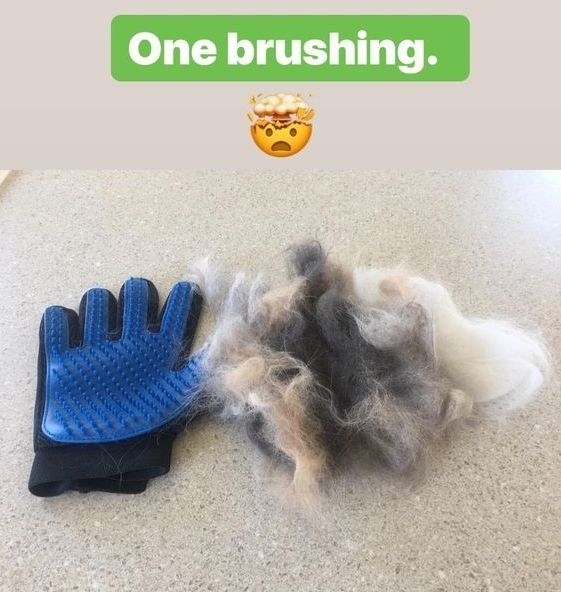 The below is just from *one brushing*!!! HOW?! Science, explain yourself. As you're probably aware, most cats and dogs detest brushing (and who can blame them? I personally do not want metal bristles combing my scalp). But pets seem to love these silicone grips — it's like a thorough massage! Even the most standoffish cats purr while being groomed by this! Any cat owner knows that is saying A LOT. They're also amazingly effective at removing dirt and dander — you know the stuff that's always getting stuck under your fingernails. Goodbye to that ickiness. Plus the five-finger design makes it super easy to get to all those hard-to-reach spots! The belly is no longer a war zone — no area will be left untouched. Look at this hairball! Merlin's beard, how have we been living without this?! My poor couch could have been living fur-free for YEARS now! 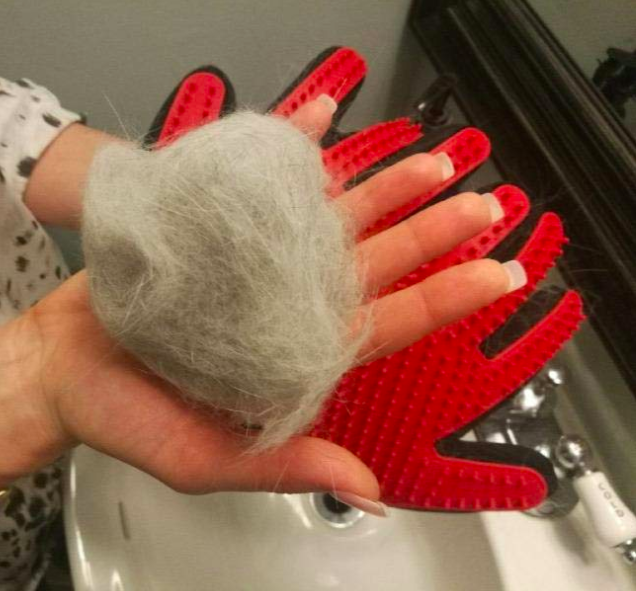 Tl;dr: your pet will actually love this satisfying rubdown and you'll remove more massive amounts of fur than probably their last trip to the groomer's. 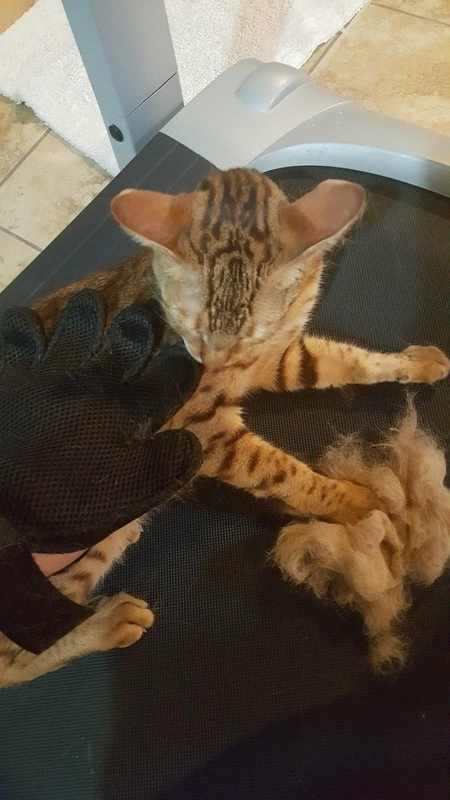 $14 gloves > expensive groomer appointments. Get them from Amazon for $13.86+ (available in three colors). Now they're free to live their lives as usual: always so well-behaved and respectful.